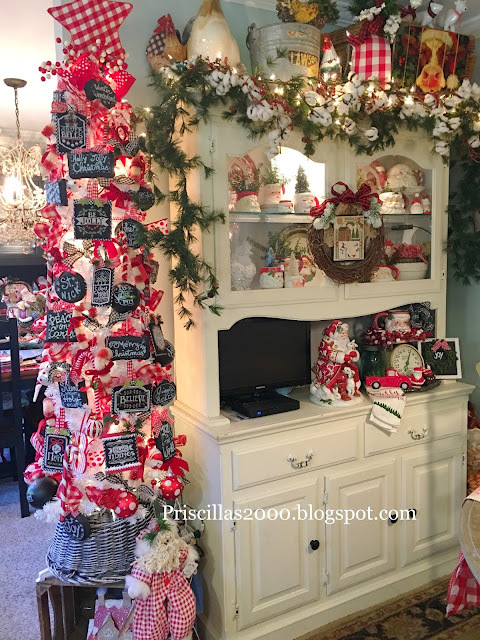 One of my favorite places to decorate for Christmas is the china cabinet in the kitchen.. 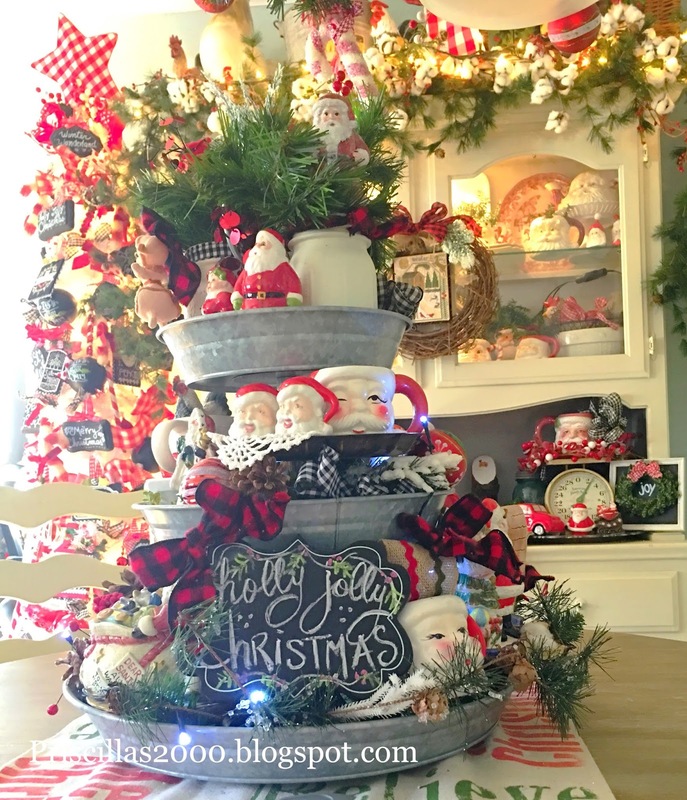 It was oak until we decided to paint it with chalk paint.. 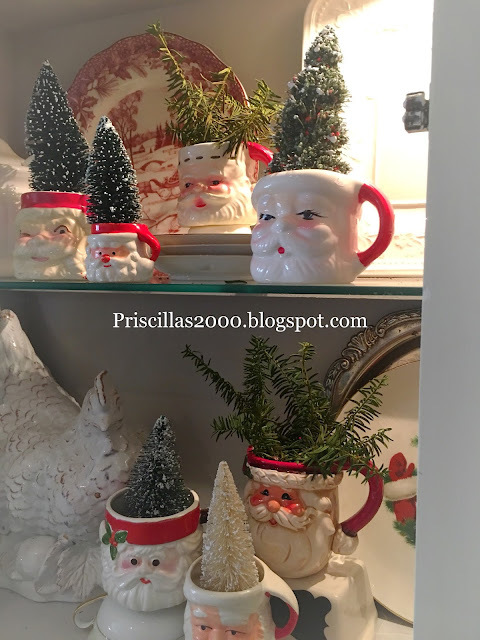 I have quite a few vintage Santa cups that I love to place in there.. 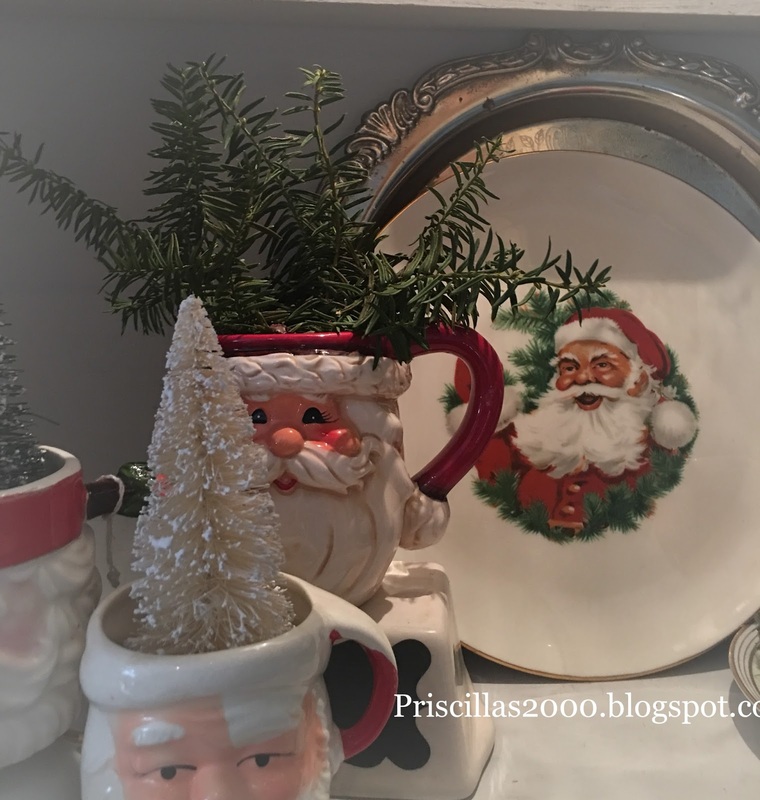 The Santa plate was bought for me when I was a baby ..
Cotton branches , and greenery decorate the top..a wreath with Prairie Schooler hangs on the door..
A vintage scale sits on the hutch with another Santa mug ,,Santa salt and pepper shakers sit on a vintage tray from the thrift store ..
Don't you just love Christmas decorations! 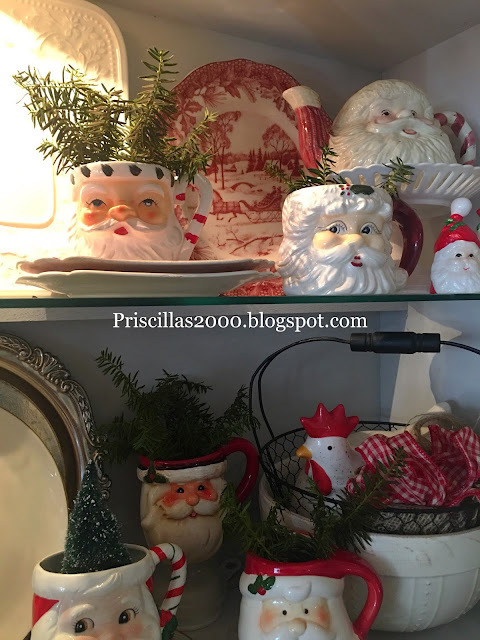 A cheerful Christmas cabinet with all the smiling Santas:). 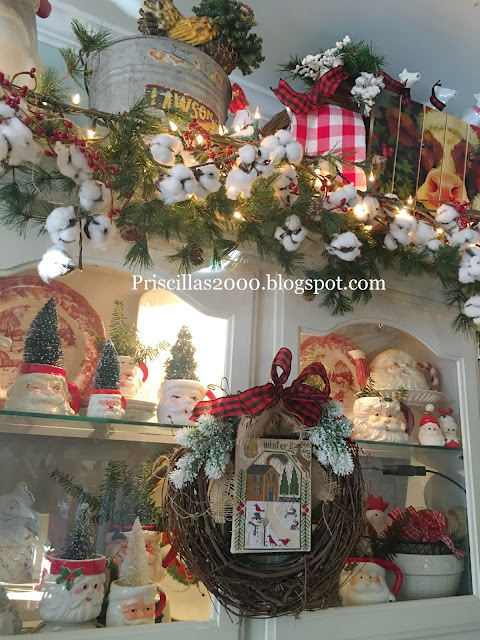 Hi Priscilla, I just wanted to stop by and wish you and your family a very Merry Christmas. 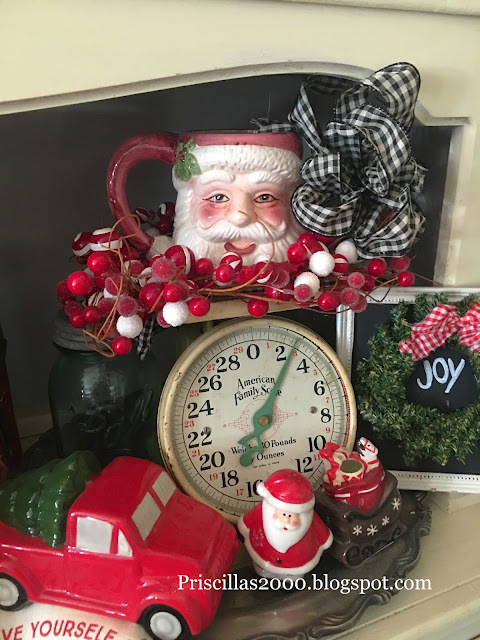 I have so enjoyed reading your wonderful and inspiring blog this year, especially seeing all your Christmas decorations, and even more so, watching your You Tube videos with Chelsea. You are both so talented and it is such a pleasurefinding out what you have both been up to each week, you both certainly put a smile on my face that's for sure. 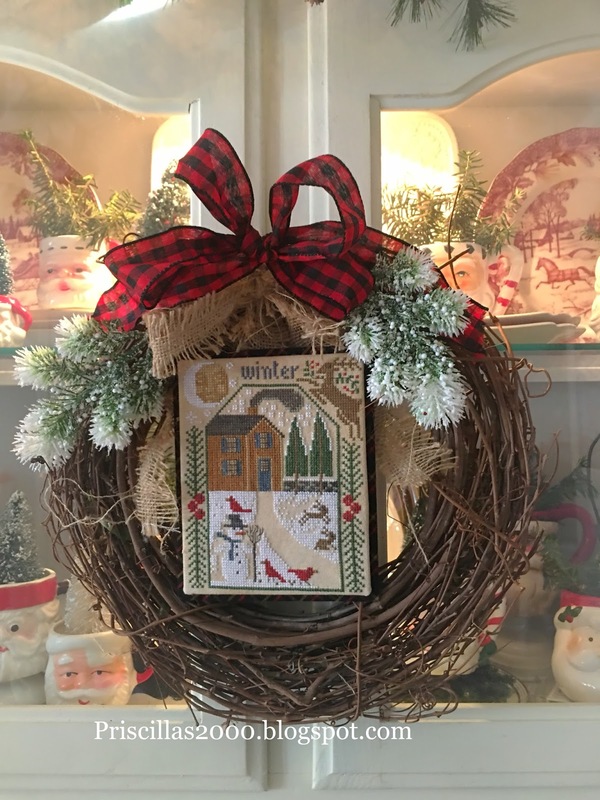 All the best for 2018, and wishing you many happy stitches. Katrina (A Kiwi Stitching) in New Zealand.